The FGCBC was delighted to see U.S. Sens. Rick Scott and Marco Rubio use their influence to urge the Department of Interior to exclude Florida’s Gulf Coast from the Federal offshore drilling plan. This letter was sent ahead of the much anticipated release of the Proposed (offshore drilling) Program expected to come out in the coming weeks. We must ensure that our coasts are protected. In January 2018, former Interior Secretary Ryan Zinke held an impromptu press conference with former Governor Rick Scott. During the press conference, Zinke announced that Florida would not be included in the new OCS Oil and Gas leasing program and would be exempt from offshore drilling. The Governor used this moment to align himself with opponents of offshore drilling. Scott then went on to beat incumbent Senator Bill Nelson, a longtime environmental advocate and critic of offshore drilling. To commemorate the one year anniversary of the joint Zinke-Scott press conference, the Tampa Bay Times published an editorial making one thing clear: the future of offshore drilling in Florida is still uncertain. Officials, including former Secretary Zinke, have flip flopped on whether Florida is, in fact, exempt from the offshore drilling plan. There has also been discussion about what that exemption would actually entail. Scott, a former proponent of offshore drilling, will play a major role in determining the future of Florida’s coastline. Senator Scott must support extending the eastern gulf moratorium as it is the only way to guarantee that Florida’s coast is protected. The Editorial board concludes their piece by calling for Senator Scott to “be specific and unreserved about his opposition to drilling” and to work with the Florida delegation, in a bipartisan way, to protect their coast. As the federal government works to expand offshore drilling, they are simultaneously rolling back safety standards put in place to prevent disasters like the Deepwater Horizon oil spill in the Gulf of Mexico. Matthew Brown, from the Associated Press, recently published an article analyzing these rollbacks. The Trump administration argues that these regulations are unnecessary and the revisions to these regulations will save industry more than a billion dollars. Nonetheless, another oil spill in the Gulf of Mexico could threaten Florida’s clean coast economy which supports 609,899 jobs and generates $37.4 billion in GDP. This begs the question: why would we move in the direction of loosening our regulations and putting Florida’s coastal economies at risk? Back on November 6, 2018, Floridians took their opposition to the polls and voted, overwhelmingly, to amend their state constitution and make permanent a ban on offshore drilling in state waters. However, even with this new ban, many Floridians—including mayor Alan Johnson of St. Pete Beach—doubt that Florida’s coast will truly be protected from offshore drilling. While Amendment 9 protects the immediate 3 miles off Florida’s coast, it does nothing to protect more than 200 miles of federal waters surrounding Florida. Of particular concern is the military mission line (MML), established in 2006 to ensure that military testing areas in Florida’s Gulf coast are protected from offshore drilling. If the 116th Congress does not extend the Gulf of Mexico Energy Security Act (GOMESA), which established the MML, it will expire in 2022. The expiration of GOMESA would put areas critical to United States military preparedness at risk of oil drilling and spills associated with oil activities. In early January, U.S. Rep. Francis Rooney, a Republican from Southwest Florida and outspoken opponent of offshore drilling in Florida waters, was quick to introduce a bill to “permanently ban oil and gas leasing, preleasing, and related activities in the Eastern Gulf of Mexico.” This bill would ensure that the moratorium remain in place beyond 2022. U.S. Rep. Kathy Castor, a Democrat from Tampa, cosponsored Rooney’s bill. This type of bi-partisan opposition to offshore drilling is common throughout Florida. Not only did nearly 70 percent of Floridians—Republicans and Democrats—vote for Amendment 9, but 79 Florida municipalities have also passed resolutions opposing offshore drilling. Floridians know that offshore drilling threatens their livelihoods and our nation’s military readiness, and they have repeatedly shown their opposition to offshore drilling activities. The FGCBC will continue to serve as the unified business voice against offshore drilling, and we will fight to protect the moratorium on drilling in the Eastern Gulf of Mexico. On January 8, 2019, the Florida Coastal Protection Act of 2019, was re-introduced by Rep. Kathy Castor (D-FL-14) and co-sponsored by Rep. Francis Rooney (R-FL-19), Rep. Charlie Crist (D-FL-13), and Rep. Vern Buchanan (R-FL-16). This important legislation would make permanent the moratorium on oil drilling in the Eastern Gulf of Mexico, South Atlantic, and Straits of Florida planning areas. The moratorium currently in place will expire in June 2022 unless made permanent by Rep. Castor’s bill. With their support for this latest bill, these members of Florida’s congressional delegation have reaffirmed their commitment to protecting Florida’s waters from expanded offshore drilling. The people of Florida made their opposition to offshore drilling clear in November 2018 when Amendment 9—a ban on offshore drilling in state waters— was overwhelmingly approved by Floridians. If passed, the Florida Coastal Protection Act of 2019 would build upon Amendment 9, extending the drilling protections to not just state waters, but federal waters off the coast of Florida as well. 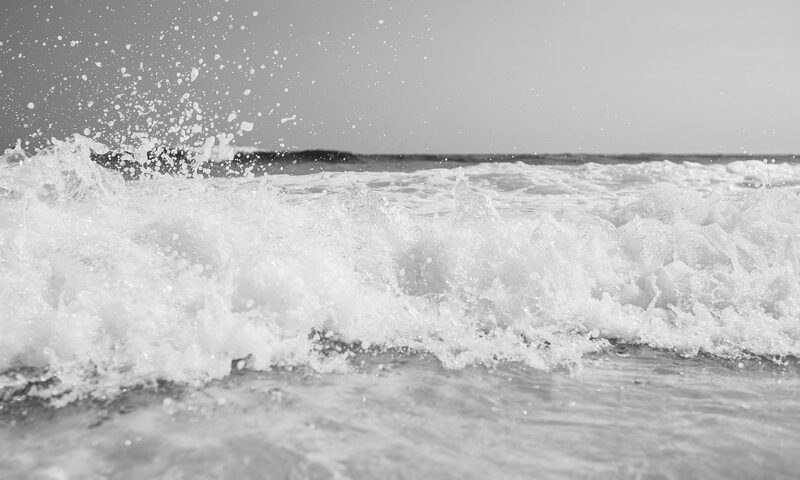 The FGCBC applauds this bipartisan effort to protect our coasts and calls on the entire Florida Congressional Delegation to support efforts like the Florida Coastal Protection Act. In early 2018, Secretary Zinke made a promise to then-Governor Rick Scott that Florida would be removed from the offshore oil and gas leasing program for 2019 – 2024. Although a vague promise with no clear definition as to which waters Zinke considered “Florida’s”, the statement was somewhat comforting to Floridians. Now, with Secretary Zinke’s departure imminent and a new year upon us, there is cause for concern about the future of Florida’s gulf coast. 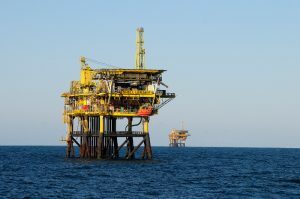 A recent S&P Global article states that the U.S. offshore oil industry is mainly focused on drilling in the Gulf and expanding into areas of the eastern Gulf of Mexico, currently under a congressional drilling moratorium until 2022. As stated in the article, “Under the Interior’s draft proposal, there are a total of 12 Gulf of Mexico lease sales planned through 2024… the Trump administration is expected to retain all of these sales in their proposed plan expected next month, according to industry lobbyists.” So, what does this all mean for Florida’s coast? Until the final plan is released, without any mention of drilling in the eastern Gulf of Mexico, Florida’s gulf coast is not safe. To read the full article click here. Citrus County Chamber of Commerce President Josh Wooten remembers 2010 very well: the Deepwater Horizon oil spill killed 11 men on a drilling rig and spewed about 134 million gallons of oil into waters off Louisiana. Citrus County was spared the worst of the fallout from the spill, but the disaster made headlines far enough away that tourists shunned Florida, fearing all the state’s waters were contaminated with black goo. Citrus County officials redoubled marketing efforts to assure tourists that businesses were open and the waters here were fine. “Just the thought of oil coming on to our beaches affects our economy,” Wooten said. So it’s no wonder Wooten is opposed to rumblings that President Donald Trump’s administration could lift a federal oil drilling moratorium in the eastern Gulf of Mexico that went into effect following the Deepwater incident and is set to expire in 2022. Wooten said he is encouraged that Citrus County’s legislators — state Sen. Wilton Simpson, R-Trilby, state Rep. Ralph Massullo, R-Lecanto, and U.S. Rep. Daniel Webster, R-Winter Garden — oppose oil drilling off Florida’s coast and support extending the moratorium. The problem, Wooten said, is that there are 435 members of Congress and many support lifting the moratorium. “The vast majority of them are not affected by drilling in the Gulf,” Wooten said. 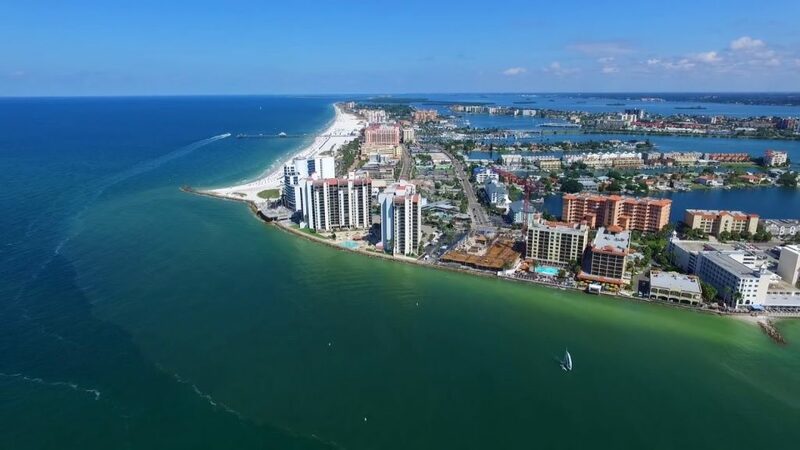 The Citrus County Chamber of Commerce recently passed a resolution opposing relaxation of offshore drilling in the eastern Gulf of Mexico and has joined with a coalition of other area chambers and business groups to strengthen that stance. And the local chamber joined the Florida Gulf Coast Business Coalition (FGCBC), which opposes lifting the moratorium. 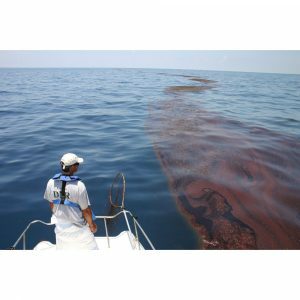 The risk is too great that a major oil spill would do untold damage to marine life, tourism and businesses, Wooten said. The moratorium prevents oil drilling within 125 miles of Florida’s Gulf Coast. On Nov. 6, people will vote on Amendment 9, which would ban oil drilling in state waters and ban vaping from electronic devices in the same indoor workplaces where smoking is now prohibited. The pairing of these two initiatives for environmental reasons has led to head-scratching among some, and Wooten acknowledged that it might hurt the amendment’s chances. Webster is in favor of extending the eastern Gulf moratorium before it expires in 2022, but does not support Amendment 9 because he believes the policies proposed do not belong in the Florida Constitution. That amendment, should it pass, would ban drilling within the first 9 miles off Florida’s coastlines, Webster said. Oil companies have not proposed coming any closer than 25 miles anyway, he said. Miller said the Trump administration has also discussed removing third-party monitoring of oil and gas operations and allowing them to self-report. That, said Miller, is analogous to the wolf guarding the hen house. “Third-party inspections and monitoring is the least we can do,” said Miller said. Miller and Baughman are visiting with municipalities along Florida’s west coast to stress the importance of keeping the stricter oil drilling regulations in place given federal attempts to make what they called backroom deals to remove the eastern Gulf drilling moratorium. “We’ve got to stay strong and hold the line and don’t make any deals,” Miller said. The National Ocean Industries Association, an offshore drilling industry trade group, praised Trump’s proposed relaxing of safety regulations. But FGCBC Chairman Robin Miller said the Deepwater oil spill resulted in the loss of 10 million user-days of beach, fishing and boating activity, and the impact of the oil spill on fisheries could total $8.7 billion by 2020. “We will not allow additional offshore drilling to threaten our businesses and the healthy coasts that they rely on,” said Miller, also president/CEO of the Tampa Bay Beaches Chamber of Commerce. Taylor Energy liquidated its oil and gas assets and ceased production and drilling in 2008. CNN has reached out toTaylor Energy for comment and has not received a response. 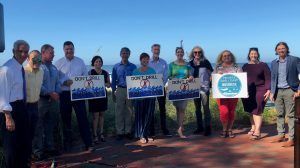 Today the Florida Gulf Coast Business Coalition (FGCBC) hosted a press conference to announce its launch with a membership representing more than 2,000 businesses committed to protecting Florida’s Gulf Coast from the expansion of offshore drilling. The event included business leaders and elected officials all committed to preventing offshore drilling in the Eastern Gulf of Mexico. Video of the press conference can be seen here. Hunter Miller, Oceana’s Southwest Florida Campaign Organizer, kicked off the event and highlighted FGCBC’s commitment to preventing the expansion of offshore drilling. Robin Miller, CEO of the Tampa Bay Beaches Chamber and Chair of the FGCBC, followed Hunter Miller and discussed the coalition’s opposition to offshore drilling. Robin Miller advocated that we “stop our motion of drilling in our Gulf Coast and protect, not only our coastline, but our businesses that rely on the economy that tourism brings to our destination.” She went on to introduce the other speakers: Congressman Charlie Crist, Keith Overton (President of TradeWinds Island Resorts) David Yates (CEO of the Clearwater Marine Aquarium), and State Senator, Jeff Brandes. All speakers highlighted the importance of protecting Florida’s coast from dangerous drilling that could ruin the state’s shorelines and economy. David Yates also discussed the importance of passing Florida Amendment 9 which would prevent offshore oil and gas drilling in Florida’s state waters. Other event attendees and FGCBC members included: Alan Johnson (Mayor St Pete Beach), Missy Hahn (CEO of Treasure Island & Madeira Beach Chamber), Jana Wiggins (Owner/CEO AccuDocs) and Sheri Hellman (Owner of Beachcomber Clearwater, FL).